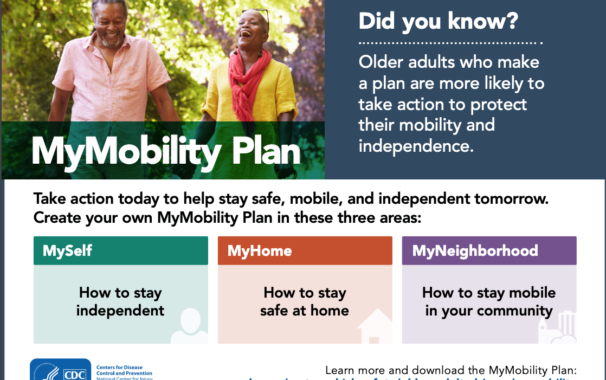 MyMobility Plan, a new tool from the Centers for Disease Control and Prevention, helps older adults plan for future mobility and independence when driving a car is no longer an option. The Centers for Disease Control and Prevention (CDC) developed the MyMobility Plan app to help older adults take action to maintain optimal mobility, avoid falls, and secure their independence even if they can no longer drive. Americans are outliving their ability to drive safely by an average of 7-10 years. That means it is crucial for older adults to have a plan to protect their mobility and independence if they have to stop driving in the future, which seems likely. MyMobility Plan is aimed at adults ages 60-74—people who are still active but should start planning for the future. MyMobility Plan has three sections for older adults to work through and create a plan to keep themselves healthy, ensure their homes are safe, and consider alternatives to driving. The first section focuses on physical health, including the importance of yearly eye exams, medication reviews, and activities to improve strength and balance. The second section helps older adults check their homes for safety hazards, such as cluttered floors, poor lighting, and loose or broken railings that could cause a fall. The third section focuses on planning for transportation changes with a table for adults to list all the places they go, how they get there now, and how they might get there in the future. A CDC evaluation of MyMobility Plan found that providing retirement-age adults with information on how to protect their mobility as they age motivated them to take action. Staying healthy and managing chronic conditions, making some simple home modifications, and learning about transportation options can help older adults prepare for mobility changes. 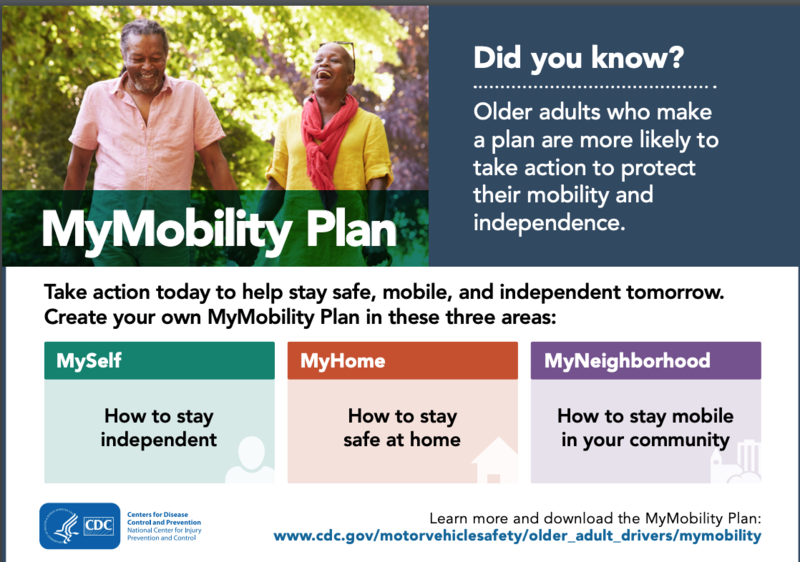 By introducing the MyMobility Plan app, the CDC has provided an important tool to help older Americans make a plan today so that they can stay independent tomorrow.